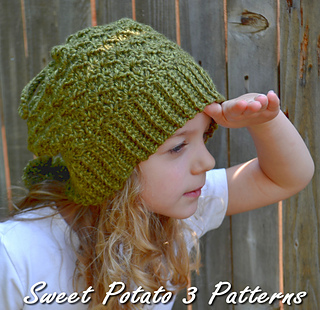 in Gauge is checked while making beginning of hat. 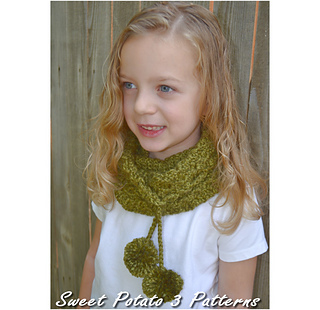 Tie it up top-its a hat, tie it down low-it’s a cowl! 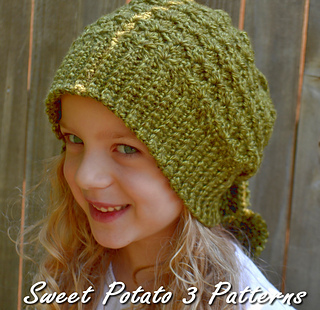 The popular cowl/hat combo is the perfect accessory for this year! 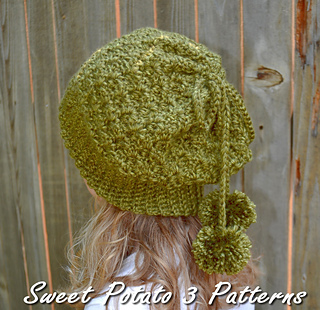 Made in a beautiful textured stitch that creates a soft fold to the hat/cowl. 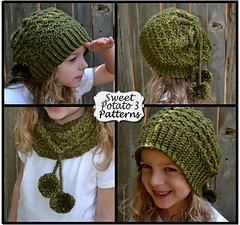 Simply tie the pom drawstrings together to make it a slouchy hat, untie them and pull it over your head for a fun cowl. The pattern comes in sizes for child, teen/ladies, adult/men’s. This pattern may not be redistributed in any way. Finished items may be sold, but please refer back to me as the patterns designer. Images may not be reused without permission.